Do you know how to integrate your Magento website with Google Tag Manager without writing any line of code? 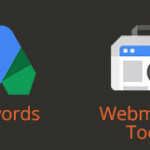 Now, it is possible with the PotatoCommerce Google Tag Manager Magento extension. The module allows you to fully leverage the popular service to connect your store with AdWords, Google Analytics, and Facebook Ads. You don’t need to switch between several admin pages to make things connected and working together. Simply install the PotatoCommerce Google Tag Manager Magento module, and it will add all the necessary fields to your backend. Before we proceed to the exploration of the extension’s admin interface, let’s tell a few words about each service that can be connected to your store. 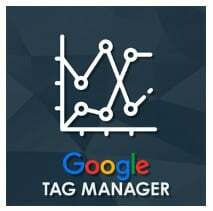 Google Tag Manager itself is a free tool developed to simplify your integration with other services. It allows you to manage tracking tags used in various marketing activities. Under tracking tags we mean pieces of code added to a web page, which collect data and send it to various third-party services. So don’t confuse them with tags used to mark products on a product page. As for services that utilize tags, they include the aforementioned three tools: Google Analytics, AdWords, and Facebook Ads (via Facebook Pixel). All of them provide the ability to track how visitors interact with your Magento website as well as allow running highly targeted ads. And due to the use of tags, both processes reach the highest possible flexibility. Google Analytics helps to track website traffic and provides lots of reports. 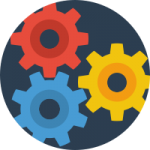 The service is freemium – it means that some of tools are provided for free, while the others are paid. And you need to add tags to your store pages to get the complete overview of your Magento website traffic. Google AdWords is one of the most effective ways to advertise online. And of course, you need to connect it with your store via tags to make things work. That’s where the PotatoCommerce Google Tag Manager Magento extension becomes extremely helpful. Facebook Pixel is another component that can be added to your store using the PotatoCommerce extension. It provides advanced conversion tracking, optimization, and remarketing related to your Facebook Ads campaigns. And you can simply link the service to your Magento store by placing its tag in the appropriate field in the admin section. As you can see, the integration of all three powerful solutions with your ecommerce storefront becomes much easier with the PotatoCommerce Google Tag Manager Magento module. You only need to paste a snippet of code to the corresponding field. Don’t know how? The following section fully explains the process. The backend interface of the PotatoCommerce Google Tag Manager Magento extension is extremely simple. It is divided into 4 sections with 1-2 options in each one. The first section is General Settings. Here, you can enable/disable the PotatoCommerce Google Tag Manager Magento extension as well as add a container ID. If you don’t know where to get it, use the ‘where to find’ link below the field. Next, there is a section dedicated to the Magento AdWords conversion tracking. It contains two fields: Remarketing ID and Conversion ID. The same link is displayed here as well, so you can easily get all the necessary information about tags you should specify here. In the Analytics section, provide the Tracking ID tag for Google Analytics. You can find a tutorial on how to get the tag below the corresponding field. The same is about the Facebook Pixel section: place a tag here and if you don’t know where to find it – follow the link. 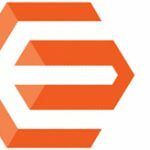 Note that the PotatoCommerce Google Tag Manager Magento extension is compatible with built-in Magento modules, but you need to perform certain customizations to make it work with third-party FPC and OSC modules. With the Magento Google Tag Manager extension, PotatoCommerce offers a great chance to simplify your backend routine related to the integration with Google Analytics, Google AdWords, and Facebook Ads. Just type tags in your backend section, and the module will send all data to Google Tag Manager that performs the rest. Such a handy tool costs just $49, so don’t hesitate to give it a try.